You may be asking yourself: How do I do it? What should the goals be, really? Where are the opportunities? How do I minimize risk?? Developing a strategic plan is the first step in addressing these issues. A strategic plan defines and prioritizes strategic initiatives that will help to reach the goals you've established for your company. 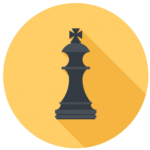 The goal of any strategic planning is to help your company gain strategic advantage. Spend a half-day with us we will help you create a vision for the future of your company, design a plan to help you pursue it and show you the tools and resources to help you build it. Complete the form below to speak with one of our team members and learn more about business strategy and how a strategic planning session can create results for you and your firm. There is no obligation and no cost for simply asking questions.